Your little one is getting bigger, they’re walking, running and climbing all over the place, and it’s awesome! After having made it through the first year with baby where they are completely dependent on you, the toddler phase can feel liberating in so many ways. 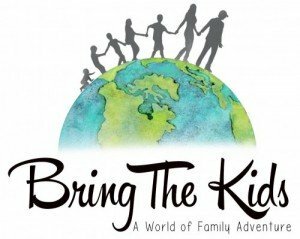 What better time to give backpacking with kids a shot? All their stuff is still small and light. They are small enough to still carry, yet big enough to walk sometimes. The little things excite them the most – rocks, sticks, bugs and water are the best! 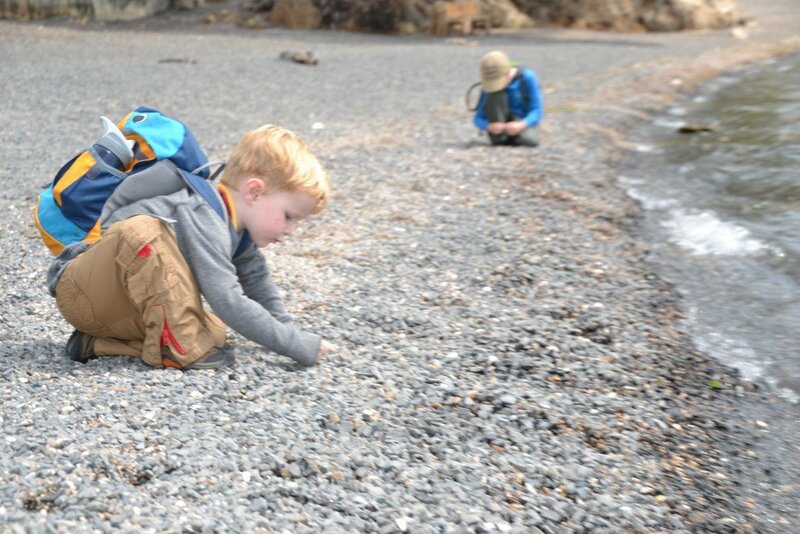 Right now our youngest is on the verge of toddlerhood at nearly 15 months (I usually count toddlers as aged 1.5-3) so we’re rapidly approaching our forth toddler hiker. This is the stage where all of our kids love being outside the absolute most. They could spend hours watching bugs, digging in the garden, or smashing rocks together. 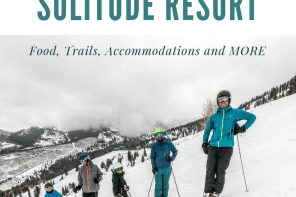 Capitalize NOW on all that natural curiosity and instill within them a deep love of hiking as well. -Have some way to carry them. Depending on your child, they may want to hike a lot or others prefer to be carried. Evaluate how much you think they will actually hike and plan accordingly. For kids who aren’t going to hike a lot on their own, get a kid carrier backpack. For kids who occasionally want to be carried, try a soft structured front pack (like the Onya Outback) or just plan on some shoulder rides. In our family, we often have a baby and toddler at the same time, so that means one gets the pack and the other gets Dad’s shoulders (or realistically, a pep-talk and a game of tag to get them hiking on their own). -Make sure you’re in good shape. There’s a pretty solid chance that someone will be carrying your toddler for a good chunk of this trip. That means splitting up the gear and turning yourself into a pack animal (see more tips for this in backpacking with a baby). You can a.) both parents carry a backpack and either do a shoulder carry or soft front pack or b.) use a kid carrier pack and have the other parent carry most of the gear. Either way, your going to be hauling a lot of weight, so just be prepared! -Let them carry their own water. 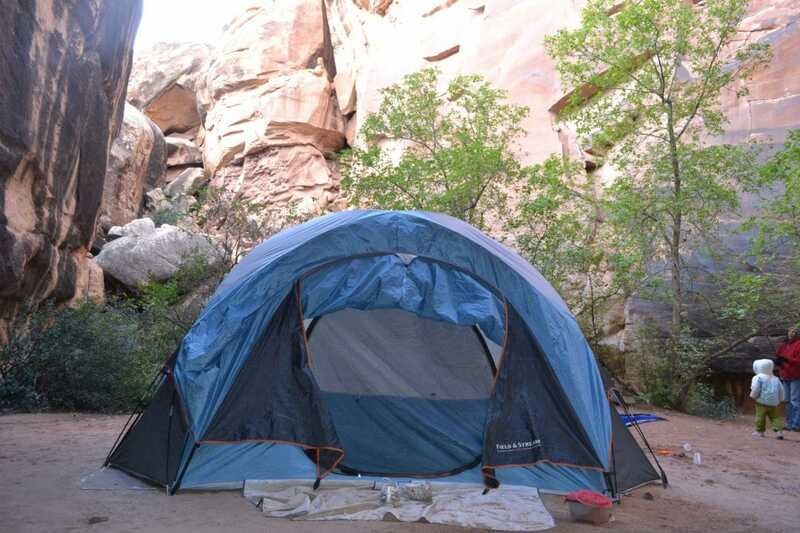 This is the perfect stage to introduce a camelback or to let them carry a small pack with their own water in it. If they have water readily accessible, they will drink more often and minimize the risk of dehydration. If you plan on carrying your child in a backpack, tie a rope around their water bottle so they can grab it when they want a drink and you don’t have to worry about it falling out and getting lost. -Go slow and enjoy the magic. Everything outside is amazing to toddlers. Slow down and enjoy some time at their pace. You will love seeing the world through their eyes, as you come to understand that this is one of the most magical parts of having kids. 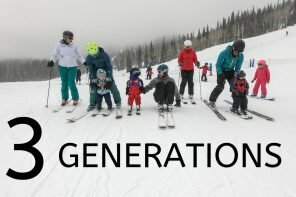 -Don’t plan on having the kids hiking all day. Toddlers still need quite a bit of rest so don’t push it too hard. If your child typically rests in the afternoon, plan most of your hiking in the morning and a more mellow afternoon. 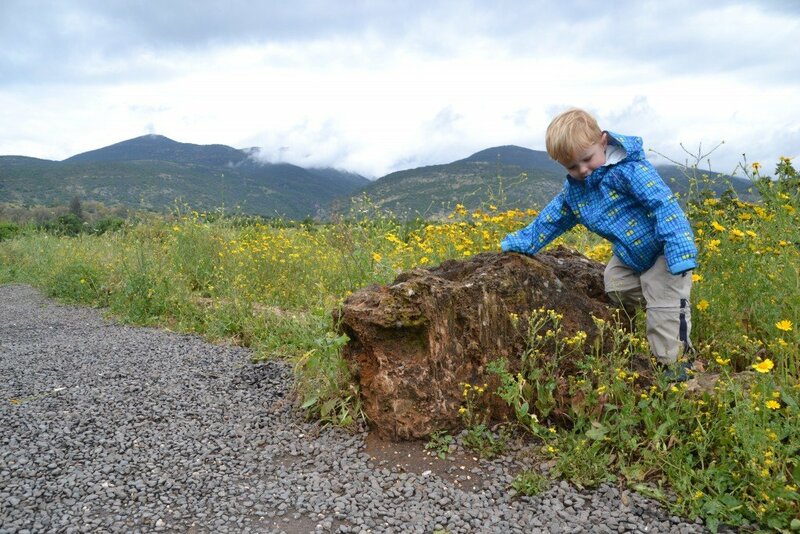 It is very likely that once you’re out on the trail with your toddler, you will be amazed by how much they can do. I remember that when our oldest was barely 3, he surprised us by hiking 8 miles one day, more than twice what we had planned. As long as you make it fun and exciting, it will be fantastic. 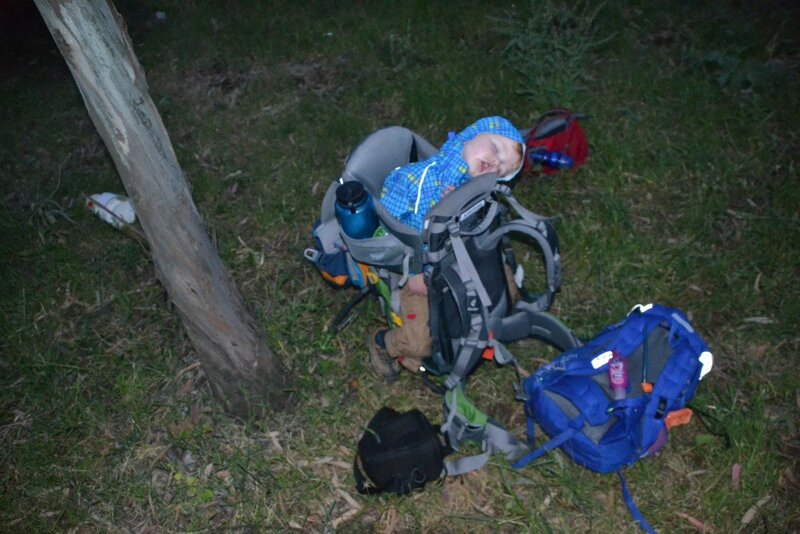 What tips and tricks have you used when out backpacking with your toddler? 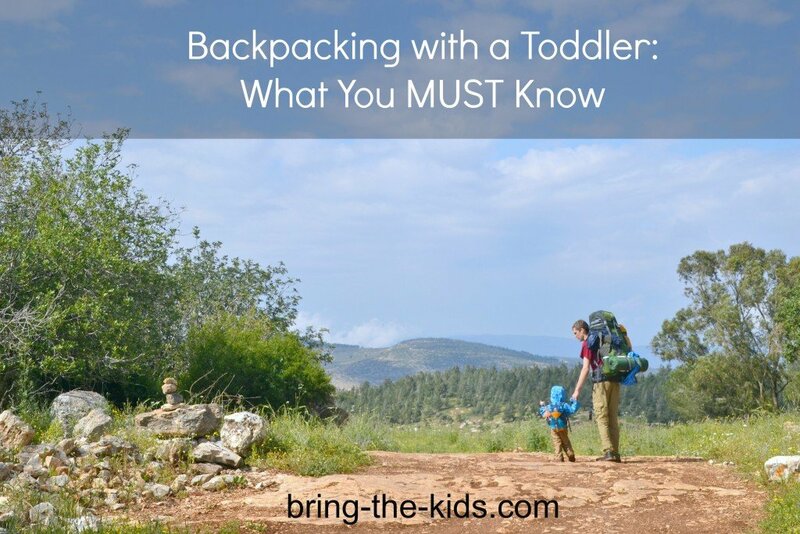 Backpacking with toddllers is an amazing experience and also you have to face more problem with toddlers. you have nicely mentioned advantages and disadvantages of carrying child on hiking. 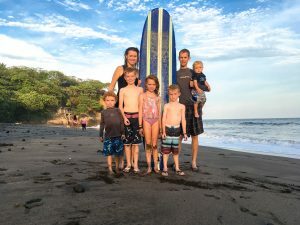 How do you manage to bring all the gear if you’re carrying the kids? Kids in front carrier and backpack? I agree toddlers are so fun, but never figured out how people could carry so much! Amazing! Make sure you’re in good shape. There’s a pretty solid chance that someone will be carrying your toddler for a good chunk of this trip. That means splitting up the gear and turning yourself into a pack animal (see more tips for this in backpacking with a baby). You can a.) both parents carry a backpack and either do a shoulder carry or soft front pack or b.) use a kid carrier pack and have the other parent carry most of the gear. Either way, your going to be hauling a lot of weight, so just be prepared! Hi, we have twin 3.5 year olds and are looking forward to a couple of weeks in CO this summer with some great day hiking. Neither of us is a seasoned hiker but we’re fairly fit. The boys are very outdoorsy but this is their first real hiking adventure and that combined with the altitude will likely wear us all out fast. I was wondering if there might be a place to go to rent some of the carriers you’ve been referencing? We don’t live where we’d use them often plus with twins it’s always twice the investment to buy gear. THANKS! Arlene, at 3.5yo you’d need carriers specifically geared toward toddlers/preschoolers. Check out Toddler Tula and Lillebaby CarryOn. Some shops may rent them, but another option is to buy used and re-sell. Both Tula and Lillebaby have their own buy/sell/trade groups on facebook in addition to The Babywearing Swap group. Happy trails! Definitely check with the rental company! Your boys might be too big for that type of carrier. We have a similar one, which was good for 6mo to *maybe* 2yrs. My son is 3.5yo and and definitely wouldn’t be an appropriate choice for him. I know your twins are probably no longer needing to be carried but if they are (or if you have had other children since or if the random comment reader comes along and needs this info) I cannot recommend Kinderpack toddler (they also have preschool) carriers enough. I can still wear/carry my 4 year old who is 43 pounds without too much difficulty and I don’t even consider myself in super shape. Also, highly recommend (where possible) that you find a local babywearing group because they often have carriers you can try to see how your child and you like the fit. 🙂 Happy Hiking and wearing! I need tips for sleeping arrangements when two kids are involved. What do you do for sleeping bags? When we car camp, we have a double wide sleeping bag that my wife and the kids pile into. But for backpacking, its kinda bulky and too heavy to bring. What do you recommend? Kids are 3.5 and 2 yrs. Try either two kid sized mummy bags (most of them get pretty compact), or get an adult sized rectangular bag and unzip the bottom and have a kid sleep at each. 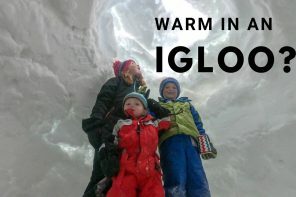 Lately, we’ve ended up just taking a double and sleeping all 4 kids in it, two on each end, which keeps them all toasty and then saves tent space too. Great ideas. Do you take those heavy rectangular ones on backpacking adventures? Great Tips, our little one is 14 months but was a preemie and not quite walking yet. I don’t think she is ready but it’s definitely something I’m looking to do in the future, once she starts walking. It’s good to see other parents out there doing and it gives me faith it can be done. I know she would love it. I think first I will just start out small, you know don’t start with a week long hike, maybe a simple overnight hike and see how it goes. great tips. Our little one is just 8 months old. How do I manage to get all gears?